Alchian, Armen A., and Harold Demsetz. 1972. 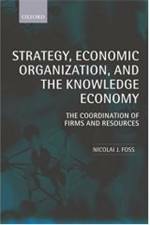 “Production, Information Costs, and Economic Organization.”American Economic Review, 62(5): 777–95. Cobb, Charles W., and Paul H. Douglas. 1928. “A Theory of Production.” American Economic Review,18(1): 139–65. Diamond, Peter A., and James A. Mirrlees. 1971. “Optimal Taxation and Public Production II: TaxRules.” American Economic Review, 61(3): 261–78. Mundell, Robert A. 1961. “A Theory of Optimum Currency Areas.” American Economic Review,51(4): 657–65. Entry filed under: - Lien -, History of Economic and Management Thought, Papers, Recommended Reading. I find it somewhat strange that except for the articles by Cobb and Douglas (on the production function) and Hayek (on the use of knowledge in society) all the other articles are from the period after 1950. So. . . for the 40 years before 1950 there were no articles (except these two above) that can be considered deserving to be included among a top 20? The AER must have been a rather poor journal during all those decades, or was it that the crop of economists publishing in the AER during those 40 years really did not leave any significant long-run mark on the profession? Or maybe the “distinguished economists” who made up the list did not bother to take seriously any contributions before the decades when they, themselves, would have started their active careers in the economics profession? (Who published in the AER during those 40 years who did not leave a mark in any of their contributions to the AER during that time. Irving Fisher? Frank Taussig? Edward Chamberlain? Frank Knight? Fritz Machlup? Jacob Viner? 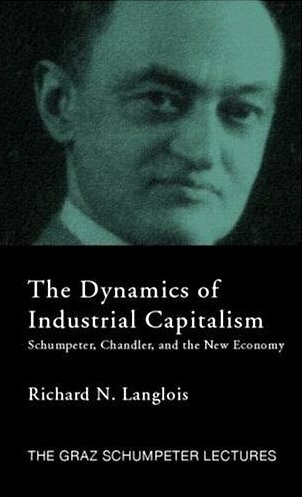 Joseph Schumpeter? One can only presume that economists of this quality (whether or not one agrees with all of their various theories and arguments) have left not mark on the profession in terms of any articles that they contributed to the AER during those earlier decades. If this is taken to be true, then that is rather sorry tale about the quality of the editors of the AER during that time, and the economists of that time who submitted articles to that journal. WIlliamson, Oliver E. (1971), “The Vertical Integration of Production: Market Failure Considerations” AER, 61 (May): 112-123. I would be interested to know from others, articles they believe are deserving for consideration. I wonder about that too Richard. Penrose, Edith T. 1952. “Biological Analogies in the Theory of the Firm.” American Economic Review 42: 804-819. Machlup, Fritz. 1967. “Theories of the Firm: Marginalist, Behavioral, Managerial.” American Economic Review 57: 1-33. Nelson, Richard R. and Sidney G. Winter. 1973. “Toward an Evolutionary View of Economic Capabilities.” American Economic Review 63: 440-49. Ross, Stephen A. 1973. “The Economic Theory of Agency: The Principal’s Problem.” American Economic Review 63: 134-39. Simon, Herbert A. 1979. “Rational Decision Making in Business Organizations.” American Economic Review 69: 493-513. Differences of opinion make horseracing an economic activity. I specifically relied on Mundell’s theory of optimal currency areas, both for a paper in a graduate economics class, and in a popular article for the Michigan State Numismatic Society quarterly. So, it is the one paper I actually know. Today, it is out-dated: we are not bound by geography. “Regions” are not so easy to define – Peru and Indonesia are both places where clothing is made for global export. Rather than an “Asian Pacific” currency area, and a “Western South America” currency region, would there be a “clothing and textiles” optimal currency? Theoretically interesting for a science fiction story, perhaps, it is not a relevant question. Or maybe it is. If we look at such virtual landscapes even to include internet regions or more ethereal demarcations, then the theory of optimal currency areas has applicability. As for the body of articles en toto, this seems to be a volume that anyone serious about modern economics would want on their shelves — maybe two; one to mark up and one to sell later. Richard seems to have a valid point. What about Marshall for example? Though the explanation may simply be that the “oldies” did more of their significant publications in books and other outlets. After all this is a list of papers not economists. Peter: I agree that these are all excellent and worthy, but the commitee couldn’t spend all 20 on things we’re interested in. So which ones would you remove? Ross (’73) is in there, BTW. What I find strange is that nothing on the list is newer than 1981. That seems odder to me than the omission of older stuff. I guess the sweet spot for the AER was about the time that all the guys on the selection committee were in their prime — the ‘Greatest Generation’ of economists. So it seems the conclusion is that if there is a bias in the list, it is in the time- and not the subject dimension. I’m reminded of the article in JEP a while back that looked at well-known articles that were rejected by other journals. My favorite was Arkerlof’s lemon paper which was rejected by AER as being trivial.